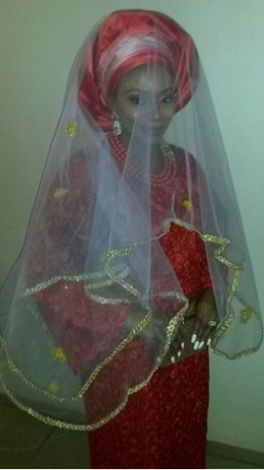 Dolapo Oni looked beautiful at her marriage introduction yesterday July 26th. She is engaged to Prince Adegbite Sijuwade, the Oni of Ife’s son. The couples traditional wedding will holding next Sunday August 2nd.